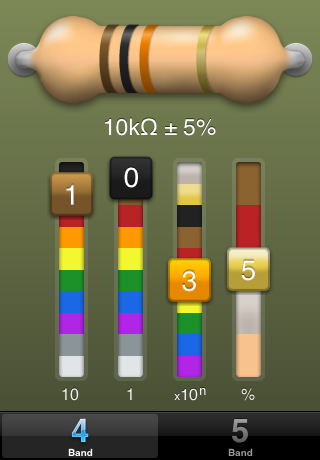 A resistor value calculator built to be a breeze to use, while still doing its part to help you learn the color code yourself. We worked with designer Nicholas Zambetti to bring his handsome dashboard widget to your iPhone. 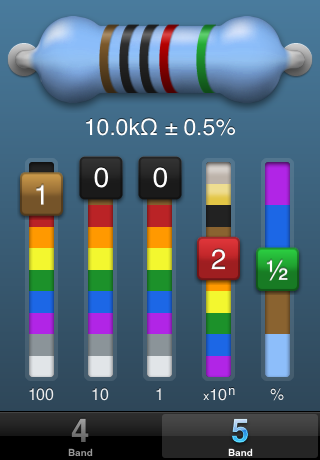 Buy Resistulator in the iPhone App Store! 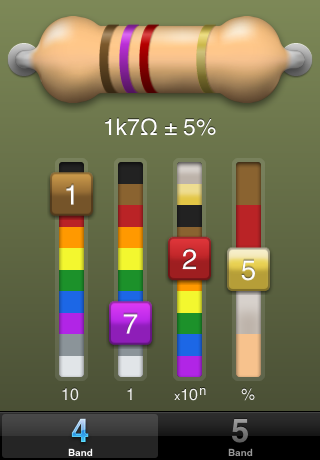 Set each band's color with a tap, to quickly see the corresponding resistance value. Change between the standard "4 band" style or the high precision "5 band" style by choosing the resistor type from along the bottom. 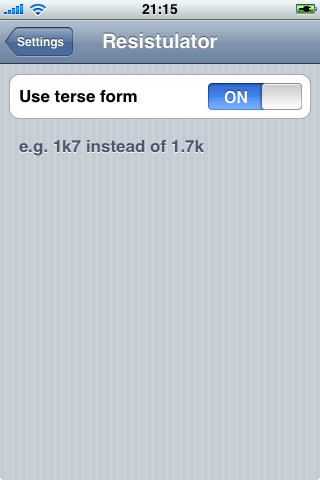 If you'd like to have the resistor's value formatted in the terse form used internationally, use the configuration provided for Resistulator in your device's Settings. Copyright © 2008 Calf Trail Software, LLC. All rights reserved.